To get ahead in the competition with Grab, Go-Viet needs a strategy other than “burning money” to increase its market share, especially as they are running on a tighter budget than Grab. Entering Vietnam on August 1, 2018 through Ho Chi Minh City, Go-Viet has been competing in the local motorcycle ride-hailing market with the two main strategies of price competition and building an image of a small Vietnamese company challenging Grab in a David and Goliath set up. They "burned" their money through launching a loud promotion campaign offering rides for only VND5,000 ($0.22) for eight kilometres and charging no commission for drivers. At the same time, the firm tried to tie its brand closer to the market by taking on the red of the Vietnamese flag, contrasting with the green of Grab. Thanks to the attractive incentives, Go-Viet quickly captured the hearts of both customers and drivers. Go-Viet's leader stated that they captured 35 per cent of the two-wheeler ride-hailing segment in the city and their app was downloaded more than 1.5 million times in the first month. Despite regularly releasing information about capital injections from investors, Go-Jek still has to balance investment between Vietnam and Indonesia, Go-Jek's hometown, while also developing its market share in other Southeast Asian countries such as Thailand, Singapore, and Malaysia. In terms of total investment and market capitalisation, it is easy to see that Go-Jek is not on equal footing with Grab. In addition, Grab generates far more revenue than Go-Jek, as the former is about to complete its Southeast Asian ecosystem while Go-Jek is only beginning to expand from its home market. Previously, there was information about Go-Viet's internal problem that CEO Nguyen Vu Duc and deputy general director Nguyen Bao Linh of Go-Viet resigning and requesting a hefty reimbursement from the firm. However, Go-Viet stated that Nguyen Vu Duc and Nguyen Bao Linh have taken on a new advisory role for Go-Viet and Go-Jek. The two of them will focus on strategic advisory to help expand Go-Jek in Southeast Asia. No matter what the truth is, Go-Viet seems to be changing its way of playing. It seems that Go-Viet is also gradually growing exhausted as it stopped its aggressive promotion campaigns. On January 21, 2019, after half a year of operations, Go-Viet also raised its commission to riders to 20 per cent, which is equal to Grab. Go-Viet customers number less than those of Grab, while lower rates result in lower earnings for driver partners, slowing down the growth of the Go-Viet fleet. Fewer riders may make it difficult for customers to place a booking and could affect service quality by lengthened waiting times. In addition, Go-Viet may have run into legal difficulties as the two services – Go-Car and Go-Pay – they promised to roll out in 2018 are nowhere to be seen. Regarding Go-Car, Go-Viet joined Vietnam at a time when transport infrastructure problems are at a peak, with heavy traffic jams and bad pollution – which may be exacerbated by Grab’s growing fleet. In any case, Go-Viet was unable to secure a licence for its Go-Car services. 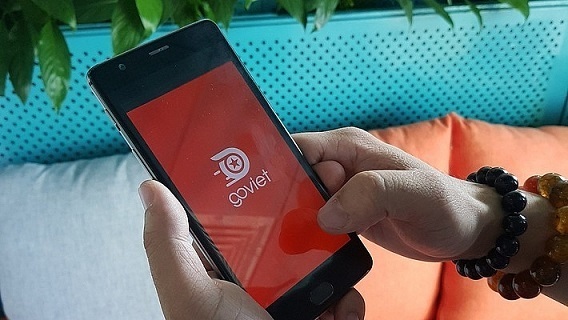 Previously, Go-Viet has yet to be approved to launch ride-hailing services by the Ministry of Transport (MoT), however, the company was already operating in Ho Chi Minh City. After that, the Ho Chi Minh City People’s Committee submitted Dispatch No.449/UBND-DT to the MoT about receiving the pilot scheme to deploy science and technology applications to manage and connect contractual passenger transport activities by Go-Viet. According to the Ho Chi Minh City People’s Committee, Go-Viet launched its ride-hailing app in Ho Chi Minh City before the official approval was issued by the MoT. Deputy Chairman of the Ho Chi Minh City People’s Committee Tran Vinh Tuyen also proposed the MoT to ask Go-Viet to only contract with transport enterprises which have been licensed by the Ho Chi Minh City Department of Transport. Another binding condition is that the vehicles must be granted badges by the Ho Chi Minh City Department of Transportation before December 1, 2018.